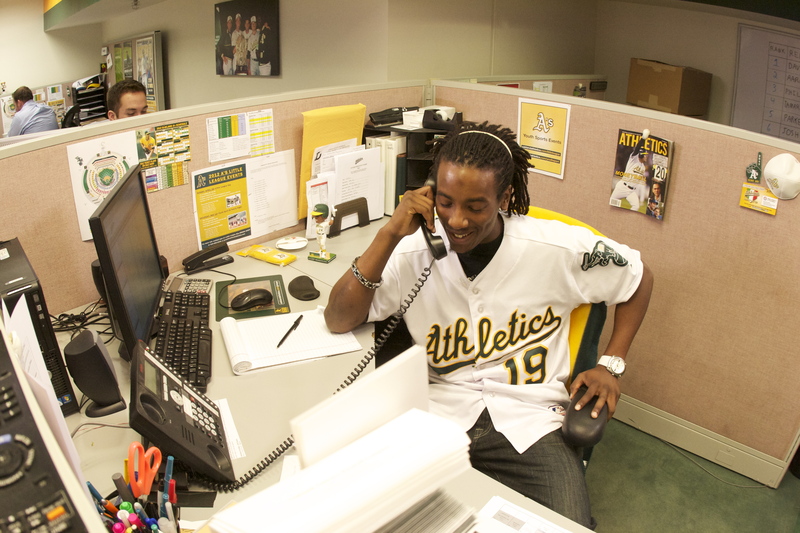 Second baseman and rookie standout Jemile Weeks was in town and was kind enough to stop by the front office! It was great having him around; he brought fun and excitement to what would have been a normal Thursday in December. He even stopped by the sales office and made a few calls to some current and prospective Season Ticket Holders! Check out the video HERE. Jemile even closed a sale! Maybe we should bring him on part-time. As if being the leadoff hitter and starting second baseman for the A’s wasn’t enough. Thanks Jemile!